Condor Supports "Pilots N Paws"
Pilots N Paws is a volunteer organization that links together homeless animals in shelters with new homes. These animals are many times the victims of neglect or abuse, and depending on their time in the shelter, may be close to being euthanized. Local shelters and/or foster homes attempt to place the animals with new owners or "no-kill" shelters; however, there may be great distances between the animals and their new homes. This is where the pilots come in. 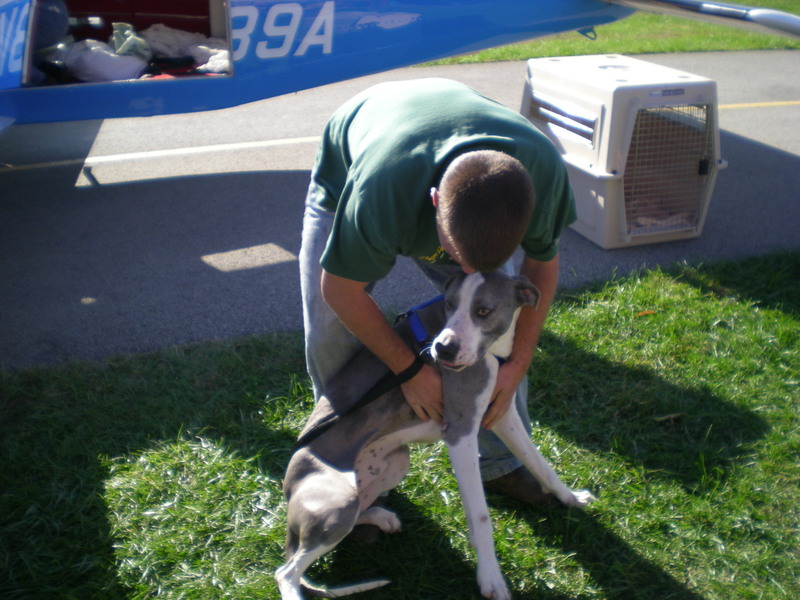 Pilots who wish to volunteer their time & aircraft for "rescue transports" can register on the Pilots N Paws website. Shelters also post animals needing transport, and the combination of the two allow both parties to sync up to arrange a date/time for the transport. It is not uncommon to have transports spanning large distances. In these cases, the transport is broken up into several legs to get the animals to their destination. Several Condor members have done multiple transports, and Condor was recently featured in an article in the Butler Eagle newspaper. This is a great cause, and a great use of general aviation airplanes. 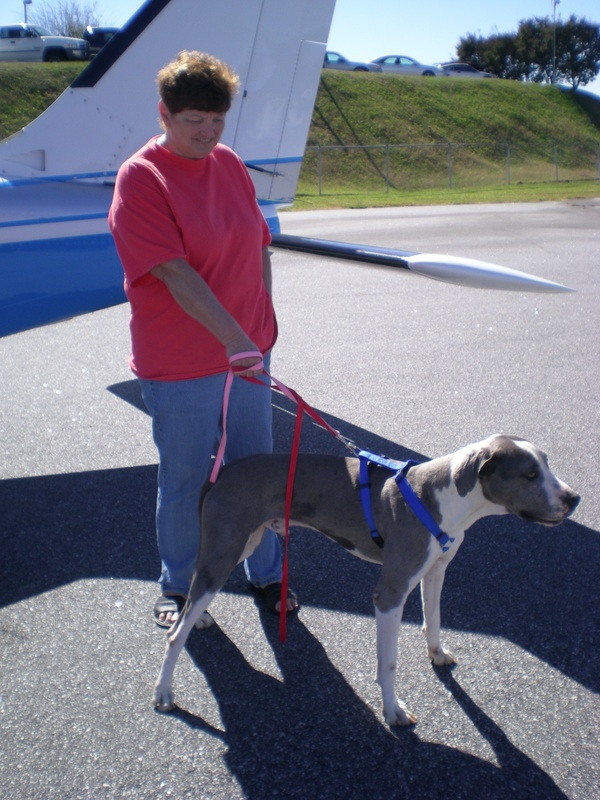 Below are pictures from several recent Pilots N Paws animal transport flights. April 6, 2014: Condor participated in a 4-leg mission to transport "Orville" from Cincinnatti, OH to Connecticut. Chris and George Miladinovich transported Orville from Columbus to Zelienople. 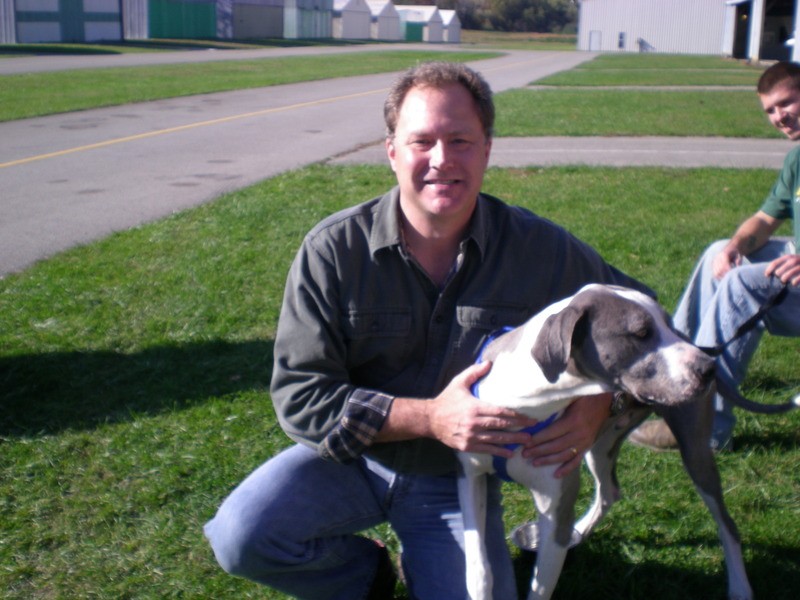 From there, Keith and Neil McPherson (along with "Georgie") transported Orville to Newburgh, NY where they were met by Mike Avallone, who transported him to his new home in Connecticut. Truly a group effort! February 9, 2013: Ed Sattely and Keith & Vicki McPherson transported "Buzz" from Pittsburgh to Binghamton, NY. Thanks to Dr. Dave Catalane for the use of his DA-40. 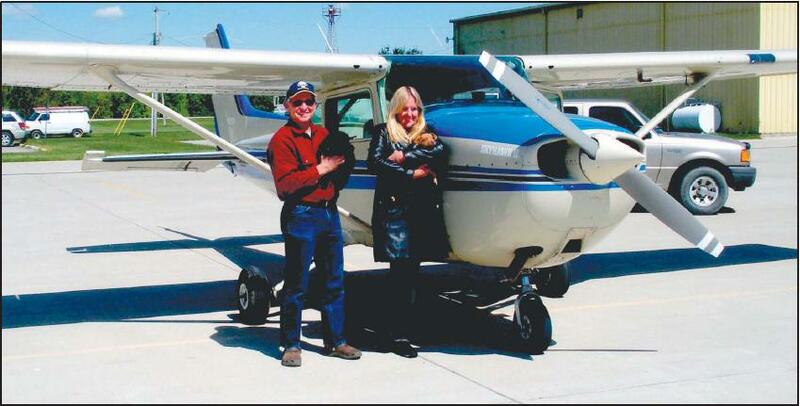 November 19, 2012: Ross Edmundson and his father Ron, visiting from England, transported "Teddy" and "Louie" from Columbiana, OH to Zelienople, PA. Read more on the Pilots N Paws website. 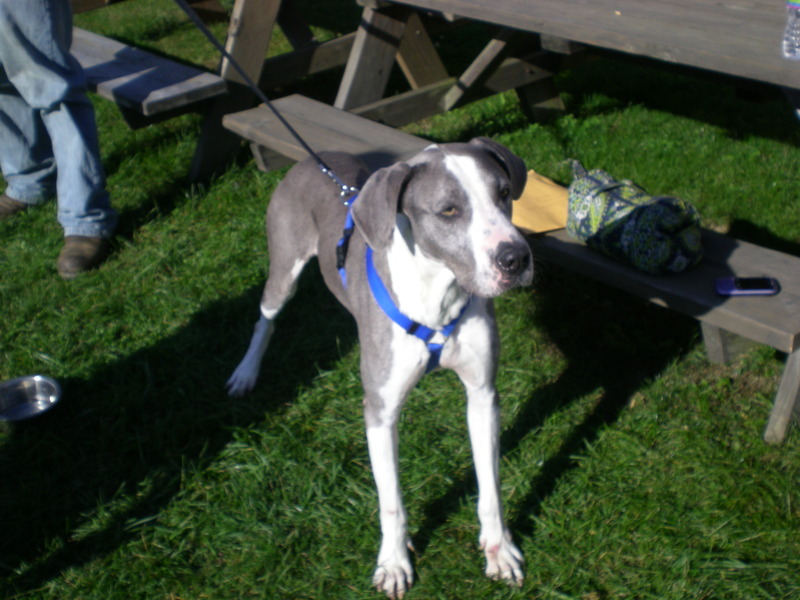 April 1, 2012: Craig Gomulka transported "Roman", a 4-year old doberman from Greenville, SC to Zelienople, PA.
October 16, 2010: Keith McPherson and his father, Neil, transport a Great Dane, "Klein", from Hickory, NC to Zelienople, PA.
May 30, 2010: Keith & Vicki McPherson transport a doberman brother & sister, "Bogie and Bacall", from Charlotte, NC to Pittsburgh, PA.
May 10, 2010: Susan Hostler and Don Lavoie transport five dogs from Zanesville, OH to Olean, NY. 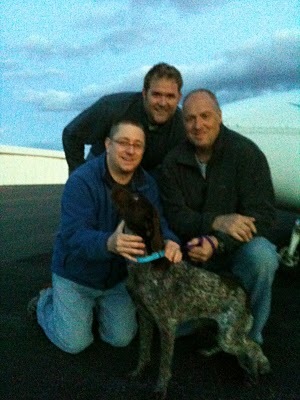 April 22, 2010: Babar Suleman, Ben Kramer, and Craig Gomulka, participated in a multi-leg trip to transport "Maggie" from Des Moines, Iowa to Randolph, NJ. 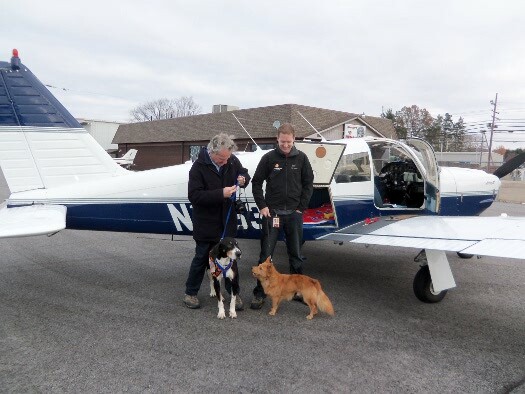 Leg #1 was from Des Moines to Indianapolis, then Babar flew Maggie from Indianapolis to Zelienople, PA. Ben and Craig then flew Maggie from Zelie to Selinsgrove, PA where she was met by another Pilots N Paws volunteer pilot, who flew the final leg to New Jersey. 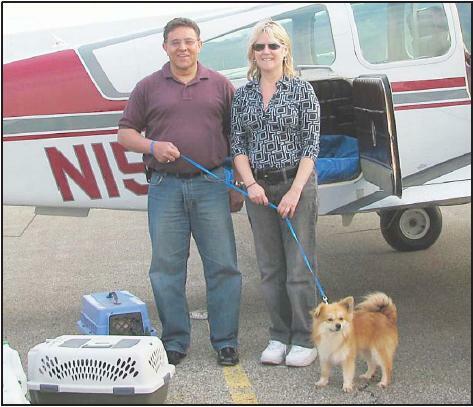 March 21, 2010: Babar Suleman participated in a multi-leg mission to transport nine dogs including this Pomeranian. Good thing he has a Baron !!! December 27, 2009: Keith & Vicki McPherson transport a Doberman boy named "Christmas" from Bristol, TN to Pittsburgh, PA.
September 19, 2009: Sue Hostler trnasported "Harley", an abandoned Ragdoll kitten to Clarion, PA. 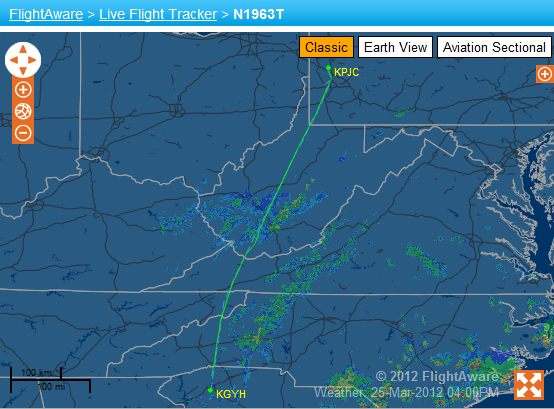 This flight was part of a 5-leg relay that started in Erie, PA, and ended in northern New Jersey. September 12, 2009: Keith & Vicki McPherson participate in a multi-leg trip to rescue a retired German Shepherd police dog and two Labrador Retriever puppies. Keith & Vicki flew to Bristol, TN to pickup the Lab puppies, and met another Pilots N Paws volunteer in Latrobe, PA, who had already picked up a retired police dog in need of a new home. The three were loaded in the other volunteer's Baron, where they had homes waiting for them in New England. In the last picture, Vicki is holding "Georgie", who is not a rescue dog, but Keith's & Vicki's Corgi, who flies along on the missions!